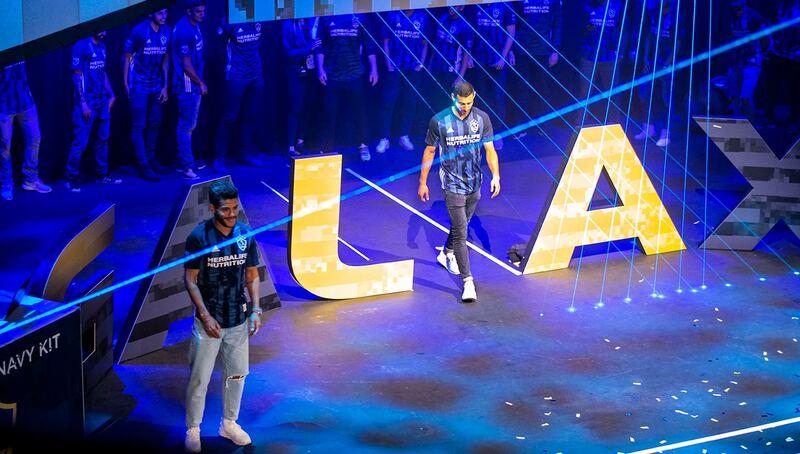 Unveiling a new crest and away kit for the 2019 season, the LA Galaxy filled the NOVO Theatre in LA Live with an excited group of season ticket holders. 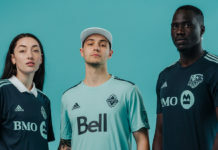 The new kit, dubbed “Midnight Navy,” features a sleek striped design and is a part of MLS’ departure from standard templated jerseys for every team. 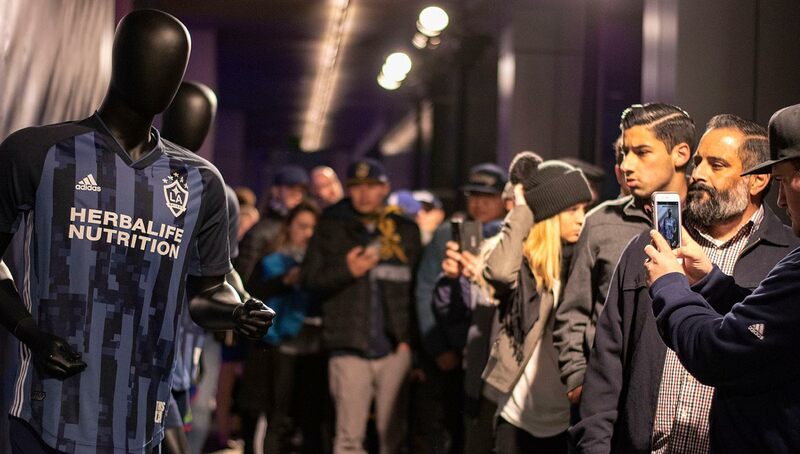 We were on the scene at the raucous event, capturing the fans’ unfiltered thoughts on the new kit and crest, their favorite all-time kits, and what they’re most excited about for the upcoming season. 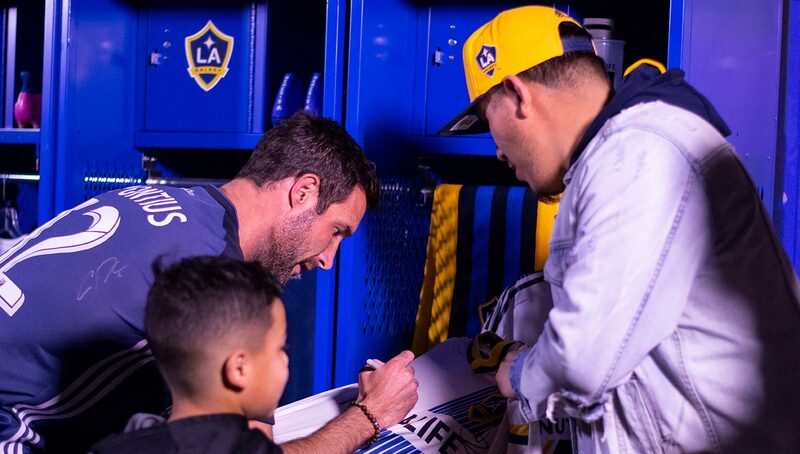 With a new season gearing up for MLS, the Los Angeles Galaxy are reminding the City of Angels that they are not only the first team in LA, but also the most successful one. 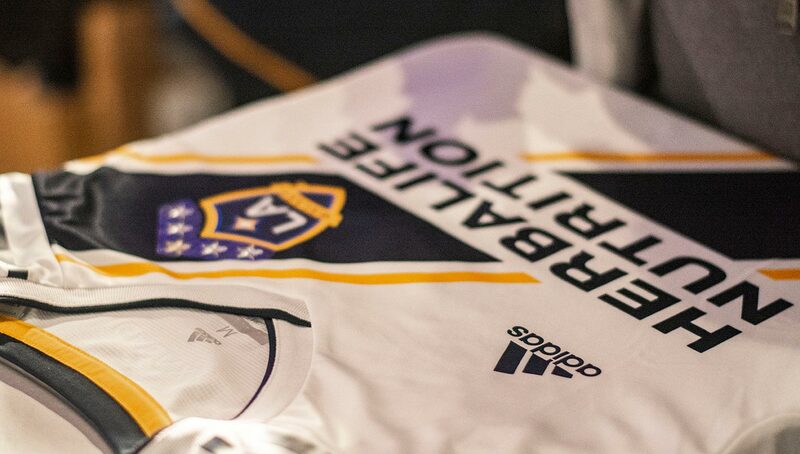 In addition to announcing their full line up for the 2019 season over the weekend, the Galaxy revealed their new crest design along with an all-new jersey. 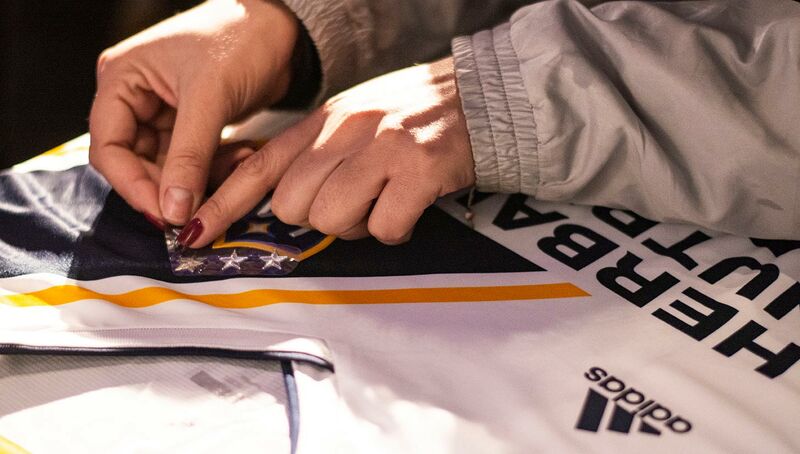 Instead of one star above the crest, the team now has five stars, one for every league-winning season. 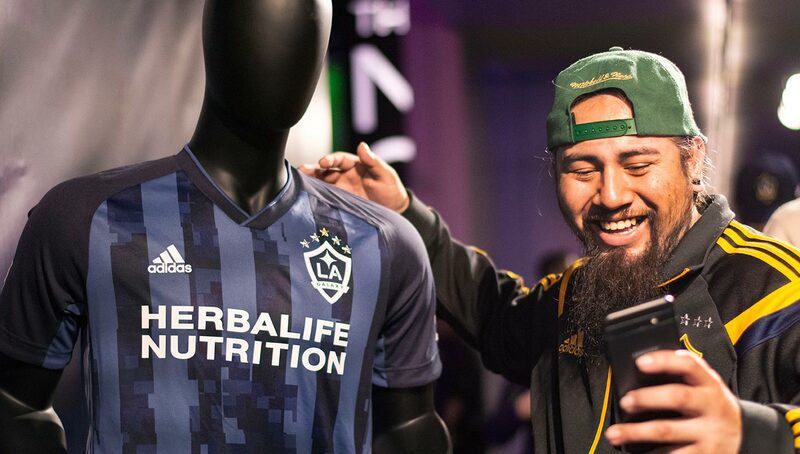 At the unveiling event, which was hosted at the NOVO Theatre in LA Live, fans were able to view the kit, take pictures with players, see a replica of the Galaxy locker room, and even have four additional stars pressed onto their original jerseys. 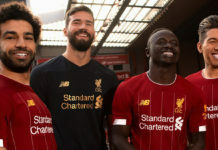 We were there to talk to fans who were excited to reconnect with their team and catch up on a few championship stars before the start of the season. 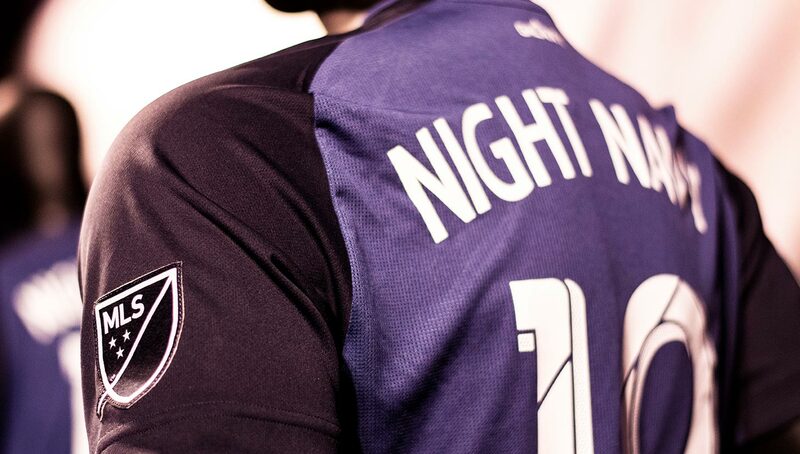 Urban Pitch: What do you think of the new crest design and midnight navy kit? Adam Hall: I saw the early release online. I think it looks cool. I’m glad they’re going back to the five stars. He (Riley) likes the blue so obviously he likes the jersey. Jake Harris: I love the color. I like that it has stripes. It’s very traditional. I love that it’s got the five stars. It was like, finally! I was a little upset with last season and only having one gold star you know? It was kind of confusing with other teams that have won one or two cups. Spencer Carter: I like it. It’s got a good feel to it. It reminds me of the Italian league teams’ kits like Inter Milan or AC Milan. It just looks clean. I really like it. Yolanda Estrada: I love navy. It’s one of my favorite colors. So I love everything about it from the new five stars to the color. It looks amazing. 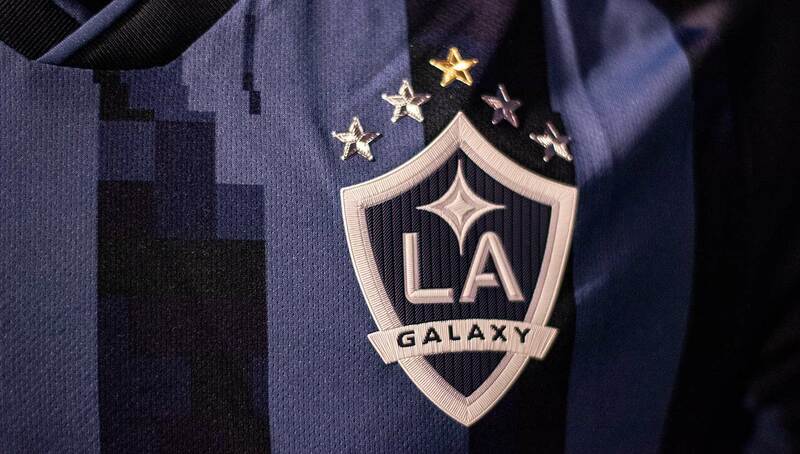 As a fan, is it important for you that the Galaxy show off their accolades on their jerseys? Adam: Yeah that one star was stupid. I mean it made it look like D.C. United had four league wins, and we had one. Having the five stars is definitely way better. Jake: Absolutely. Yes. having five stars this year I think, it motivates the fans, and it motivates the team to get that sixth star. Spencer: The stars represent the championships that they won, so of course. I’m a big fan of European soccer, and they pride themselves on their titles. I think the Galaxy should do that all the time. Yolanda: It’s not important, but it does make us more proud as fans and I’m sure it makes the players proud as well. But regardless, it doesn’t have to be shown off because our players’ skills speak for themselves. 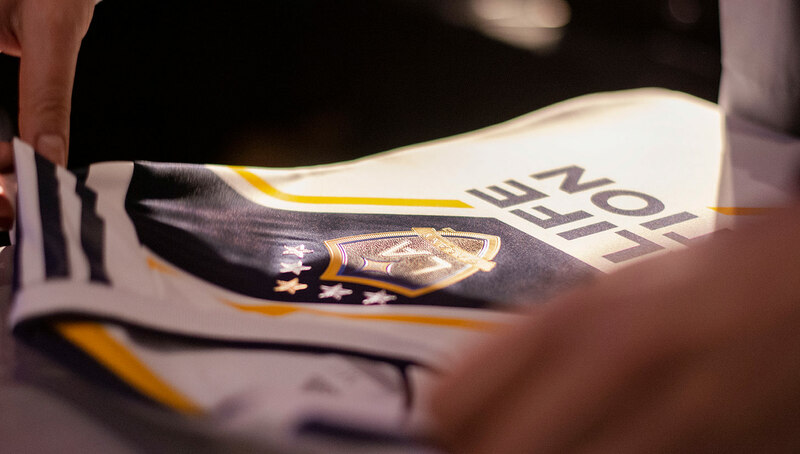 What is your favorite all-time Galaxy kit and why? Adam: It’s not going to be the popular answer. 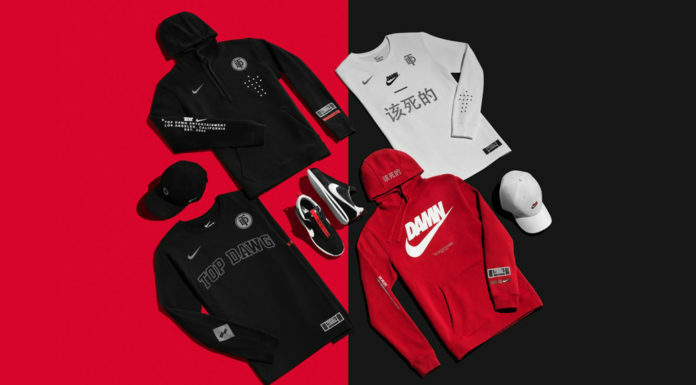 I kind of like the ones that they had last year. I like the black ones that they had a few years ago. 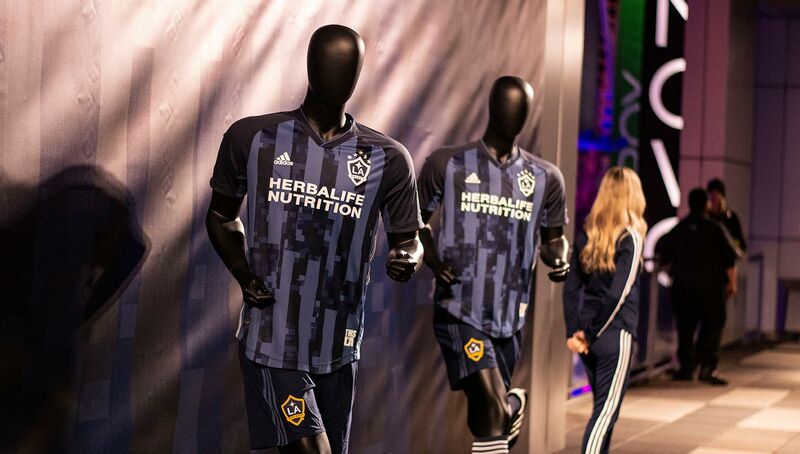 Everybody hates that Herbalife logo but I actually kind of like it, especially on the ones they had last year. Spencer: I liked the jersey with the turquoise and black color combination. It’s just old school. Reminds me of the days when Kobe was playing on the Lakers and sports in LA were amazing. Yolanda: This one’s good but I like the original. And then I really liked the striped one with Rasta colors. That was a fun one too. 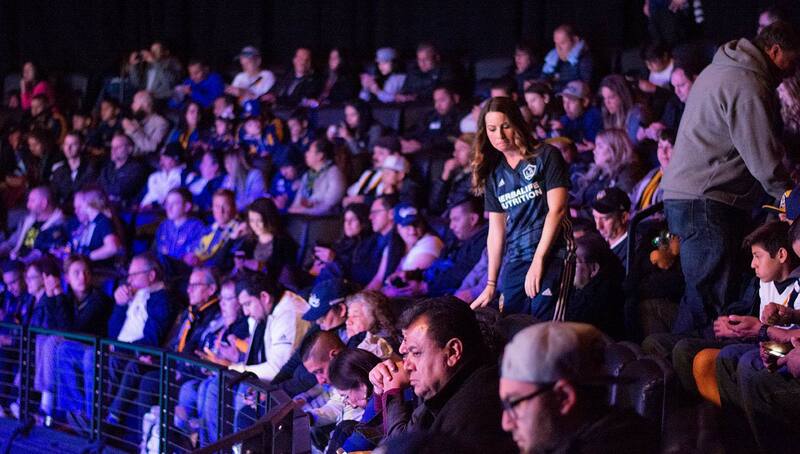 This event is a great way to kick off an upcoming MLS season. What type of events or outreach would you like to see the Galaxy host this year? Adam: Oh that’s a good question. I’d like them to do more stuff here. I live in Burbank, so it’s like we’re stuck in LAFC territory. I’d like to see more downtown stuff maybe and more events up in the Valley because they do a lot of stuff towards Carson. Like you don’t really even see billboards on our side of town, and I feel like it’s kind of getting lost to LAFC. It’d just be cool to see more stuff on the north side of town. Jake: Maybe more interaction with the community. I mean I know that they do enough promotional and fan events, but I’d love more beach cleanups or just interacting with kids in the local area — events that introduce soccer to people who haven’t played or know about it here in the States. Spencer: I think they do enough already. I mean if you add any more it might constrain the schedule of the players. I mean, I can’t think of anything where they would need to do more or add more to it. What they already do suffices. Yolanda: I’ve always loved their events, so maybe just more of them. We like that they’re usually family, but this one’s nice too because we left the kids at home. 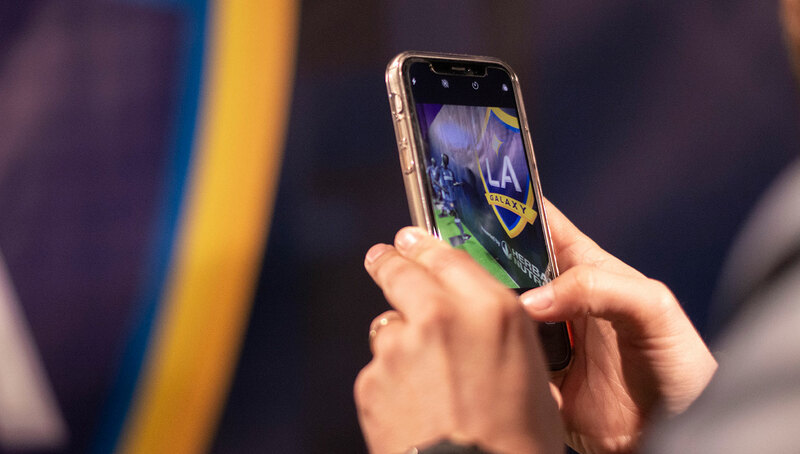 We saw LA Live and knew it’d be a fun night out with the Galaxy. 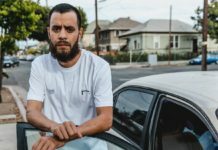 Did you see the schedule LAFC’s supporters’ group, The 3252, put out? They put Carson instead of LA for the Galaxy game. What are your thoughts on that? Adam: It’s stupid. Come on, trying trying to claim LA after one season? I mean, we could call them Chivas I guess if we wanted to. So yeah, it’s it’s pretty dumb. Carson is in LA just like anything else. The Rams aren’t going to be the Inglewood Rams when they go down there. It doesn’t make much sense to me — they’re just jealous. Jake: LAFC? Who’s that? Doesn’t ring a bell. I know the LA Galaxy! Spencer: The derby-type games like with LAFC, it’s just too new. It’s just a shot at the Galaxy. I wouldn’t read too much into it. We’ll see how they do on the field this year. Yolanda: Well, we were at the game that they played last season and they were yelling it to us. They were yelling on the way out while we were there, so it doesn’t surprise me that they did that. Adam: I like the new players. We like Diego Polenta and Antuna both. I’m excited to see Ibrahimovic. I think we’ll have a shot here with a little bit better defense, and we’ll be able to see what he can do — him and Kamara both. Jake: Race to Seis (LA Galaxy’s annual 5k run). Ibrahimovic coming back. Us winning the cup. Alessandrini playing some more, and just having a good time. Spencer: The goal is to make the playoffs. Last year they fell short on the very last game so I hope this year their defense is shored up. That’s my only concern. I know the offense will be there, and it looks like they did enough this offseason to get themselves to where they need to be. Yolanda: More wins and more celebrations. We know it’s going to be a great season. Photography by Patricia Sanchez for Urban Pitch.